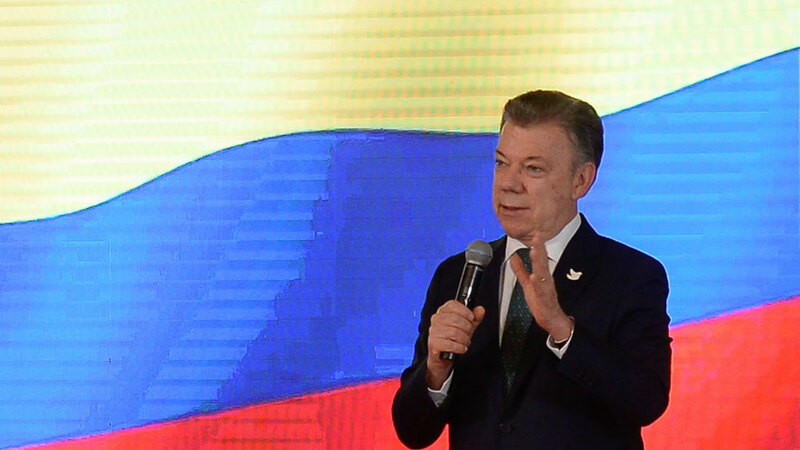 With only six months left in office, President Juan Manuel Santos can count on the approval of no more than 14% of Colombia’s electorate, according to the first poll of 2018. The president started off his presidency in 2010 with an approval rating between the 74% and 80%, but has steadily lost the support of the people that elected him. Santos’ approval rating dropped two points from the 16% approval registered by pollster Yanhaas in December. An overwhelming 76% disapproves of the president who won the Nobel Peace Prize in 2016. The approval rating of Santos’ cabinet dropped even lower, to 13%, and is now disapproved of by 74% of the population. With less than three months to the congressional elections, Colombia’s voters were largely pessimistic about the future of the country. According to Yanhaas, 81% of the people believe Colombia is heading the wrong way. Only 14% was optimistic about the future of Colombia. The president’s abysmal approval rating is mainly due to citizens’ disappointment in the economy, which slumped after a global collapse of oil prices in 2014, the year Santos was reelected. Some 89% of voters said the economy is getting worse against 9% who said the economy was getting better. Other policies Colombians widely disapproved of are an ongoing peace process with the FARC, until last year the country’s largest guerrilla group, and the fight against corruption.